As a cradle Presbyterian and a “military brat”, Kate has known the Church in many forms. She began her church work while in college in Nashville, TN, and at Montreat Conference Center during the summers. As a young adult, she served as a mission worker in Miami, FL through the PC(USA) YAV program. After graduating from Columbia Theological Seminary, she continued her education with a chaplaincy residency in Charlotte. As an ordained Minister of Word and Sacrament in the PC(USA), Rev. Rascoe has served churches in NC, Texas and Virginia. In all of these ministry placements, Kate has sought to bear witness to the peace and healing of Christ, the love of God, and the calling of the Church. Kate’s husband Clayton is also a Presbyterian pastor. He has held positions in camps and conference centers. Together, they are parents to Ruth (10) and Carolina (almost 8). Two years ago, God called the Rascoe family to the Valley. Clayton now serves as Executive Director of Massanetta Springs Camp and Conference Center. Since moving to Harrisonburg, Kate has served the church by filling pulpits, serving as parish associate for visitation for the Trinity and Covenant Presbyterian Churches, and as a chaplain with Sentara Hospice. In her free time, Kate loves a good cup of coffee, chocolate, walks in the woods, exploring the world, music, TV dramas and reading. Lori joined the church staff in April of 2015. She became a member of WPC in 2012, is a Ruling Elder, and also the Choral Director. A transplant from NOVA, she came to Woodstock in 2007. Lori is a Certified Massage Therapist, is very active in theatre, and is President of the Board/Artistic Director at Theatre Shenandoah in Edinburg. Liz taught herself to play by ear at an early age. 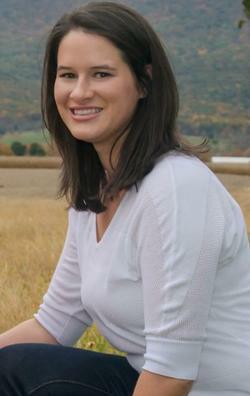 She obtained a Bachelor of Music Education degree and a Master of Education from JMU. While serving as organist for 37 years at the Woodstock United Methodist Church she also directed the choir for 12 years. Liz became the WPC organist in 2000 and served as choir director for 14 years. After teaching Spanish, music appreciation, 5th grade, and elementary choral music for 34 years, she retired. She has two daughters, Katie and Mary. Jessica has been the Nursery Care Provider at WPC since October 2015. She is CPR/First Aid certified and has been a nanny for four years. She loves teaching and organizing activities for the children. Born and raised in Woodstock, she is married and has two young daughters. Vicky has been a member of WPC for 35 years. During that time she has taught children's Sunday School, Bible School classes, and directed the children's choir. She worked as assistant to the director of the Presbyterian Playschool for 14 years and has been the church librarian since 2008. Vicky is married and has four grown children and a grandchild.